Despite budgetary tensions, the government is working to pay a total of 3.25 trillion kip owed to private companies under the triangle-debt-diversion disbursement initiative. With various barriers hindering the development of the tourism industry, authorities in charge will work closely with the relevant sectors to remove these obstacles, a minister told parliament yesterday. 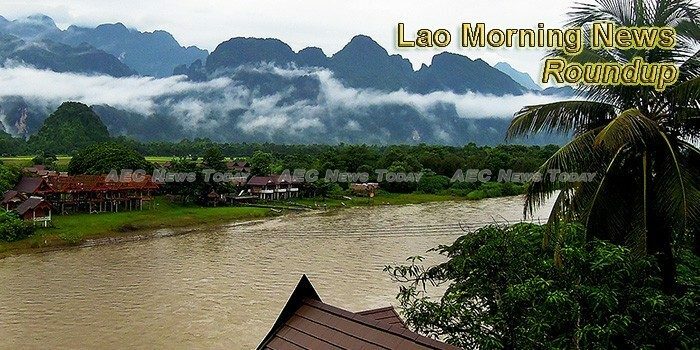 There’s a reason Laos’s Louangphrabang (sometimes spelled Luang Prabang) has drawn a growing stream of visitors in recent years. Nanyang Technological University (NTU) of Singapore under its Overseas Exposure Programme (OEP) is continuing to help improve education facilities in Laos through community service. Lao and Japanese cooperation has been improving public transport services in Vientiane through a project which is upgrading the bus management system implemented by Eagle Bus Company of Japan.